Uranus is mocked by the other planets for his hilarious name. The planets make fun of Uranus. 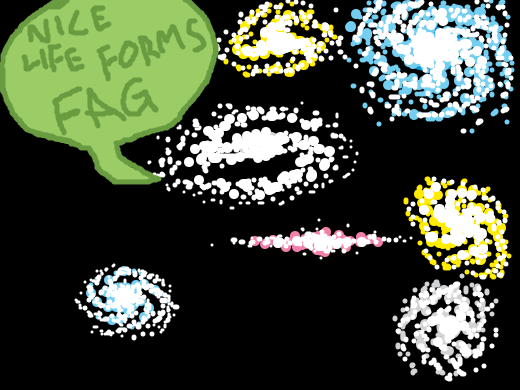 All the other galaxies gang up and make fun of the Milkyway galaxy. The Star Wars opening text.